Lead by keyboard/vocalist Billy Stone, The Billy Stone Band is a highly versatile group that can play any type of music requested, from Classic Rock to Top 40 dance music. 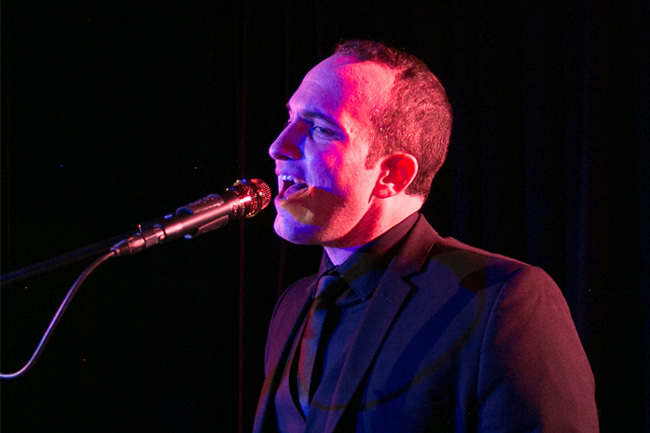 A onetime finalist on WPLJ 95.5’s “New York Idol” contest, Billy Stone has been lighting up the stage with his piano skills and soulful singing voice as a solo artist for over 15 years. Discovered and signed by Hank Lane Music (New Jersey) band leader Russ Bennett, he formed the Billy Stone Band in 2012. Since that time his band has performed at hundreds of weddings throughout the Tri-State area. In that time Billy has perfected his band leading skills, mastering his ability to create a mix of music that keeps the floor packed and dancing all night. All I have to say is WOW! The Billy Stone Band was AMAZING!!!!!! People won’t stop talking about how amazing the band was. What a great night. People were up, dancing, music was perfect. Night was flawless. It was everything we imagined and that much more. We had guests asking for information already because they are wedding planning now. This is just a short note to tell you how amazing Billy Stone and his musicians were on Saturday night. The wedding was taken to a higher level because of their magical musical presence. Mr. Stone is a thorough professional and gentleman, besides being extremely talented. I am grateful that he assisted me in my little performance and made it easier to accomplish. We had The Billy Stone Band perform at our wedding in October, and would strongly recommend them for anyone looking to have their guests on the dance floor all night. We had seen The Billy Stone Band perform at a friend's wedding in 2015, and they made such a strong impact that we knew we had to have them at our own wedding. Hank Lane was a pleasure to work with, answering any of our questions along the way. We were also able to have an impact on the set list for the ceremony, dinner, and dancing portions, so everything was custom to our tastes and the atmosphere we wanted during each portion of the night. The band was energetic and able to read the crowd to keep our guests dancing the entire reception. Everyone had a blast! The Billy Stone Band is incredible!! We hired them through Hank Lane to play at our Shadowbrook wedding in July 2018 based on our planner's recommendation. My now-husband wanted to go with a band, but I was hesitant, thinking that it was not worth the money over a DJ and worried that we wouldn't know what quality we would get. We ended up hiring Billy Stone for a total of 8 musicians (one more than the minimum to broaden the scope of the sound) and two cocktail hour musicians (cello and keyboard). They were all amazing!! First, Hank Lane was very organized, professional and affable during the planning stages. Before the wedding we had several scheduled calls and emails for them to get an idea of what kind of music we wanted. We then inputted some selections into their website which they would use as inspiration. Closer to the event date, they went over the plan carefully for the entire night, including the logistics for the first dance song. We were anxious about this part, since the lyrics and tempo of the song had to be altered by the band and since we had only rehearsed to the original version, but the band did this perfectly such that it did not throw off our dance at all (only our moves were mediocre :)). During the wedding they were fantastic. The leader made all of the announcements as planned. The band really injected a lot of energy into the crowd such that everyone was dancing all night long and the members even interacted with guests on the dance floor. Their voices and musical skills were very impressive and they picked a great set of songs. We also had a friend perform a solo (song and guitar) and the band did a superb job backing him up. Even my mom, who ALWAYS prefers DJs, loved them. :) Numerous guests also pointed out that they were the "best band ever"! In summary, the Billy Stone Band was worth every penny. They were extremely talented, professional and fun. They looked very elegant up on stage and added a classy vibe. Hire Hank Lane!! We booked the Billy Stone Band through Hank Lane Music for our late July wedding, and they were absolute show-stoppers! Prior to the wedding, we found the company extremely professional and easy to work with. It’s clear that Hank Lane has been an industry leader for many years. They made the process easy, and allowed us to share our musical tastes in advance so the day of would just be a smooth party. At the wedding, the band sounded great, broke out amazing dance moves, and our guests raved about the entertainment! And Billy himself was awesome too – he went out of his way to check in with us throughout the night to make sure we were on the same page. Highly recommend!! We used Hank Lane & Billy Stone Band for our NYE wedding - and our guests (and us) cannot stop talking about how amazing the band was! From the ceremony, cocktail hour and reception, Billy Stone Band was perfect. Morgan made the process leading up to the wedding a seamless one. She guided us in the right direction, gave recommendations and suggestions when we were unsure and made us feel at ease when planning the music, which was the most important part of our wedding for us! Billy Stone Band played all our must haves and a variety of music for the entire crowd throughout the night. They chose the perfect set list for our wedding and even performed a few dance numbers that got the crowd to join! They engaged with my groom and I throughout the night - dancing with us, surrounding our family and friends around us, and felt like we were at a concert at our own wedding! We could not thank Hank Lane and Billy Stone Band enough - they made our night incredible - and we are so happy we chose them! They absolutely exceeded all our expectations! !